If we were to go by Mogherini's or Westmacott's "commitment" to an unchangeable "Iran Deal", Britain and France should have never denounced the "peace accord" that Chamberlain signed in Munich in 1939. However, the EU argument about "respecting signatures" on the Iran Deal has another problem, because nobody signed anything. Ironically, the only P5+1 member that has partially complied with the deal is the US, including by Mafia-style smuggling of $1.7 billion cash to Tehran. Earlier this month, the spokesman for the Iran Atomic Energy Agency told a press conference that Iran's nuclear project was "going full speed ahead" with "new and more ambitious plans under preparation." The so-called "Iran nuclear deal," a witches' brew concocted by that most deserving of Nobel peace laureates, Barack Obama, has furnished the theme of many bizarre diplomatic twists and turns. The latest is an attempt by the European Union to persuade President Donald Trump to renege on his campaign promise to improve or scrap the deal. 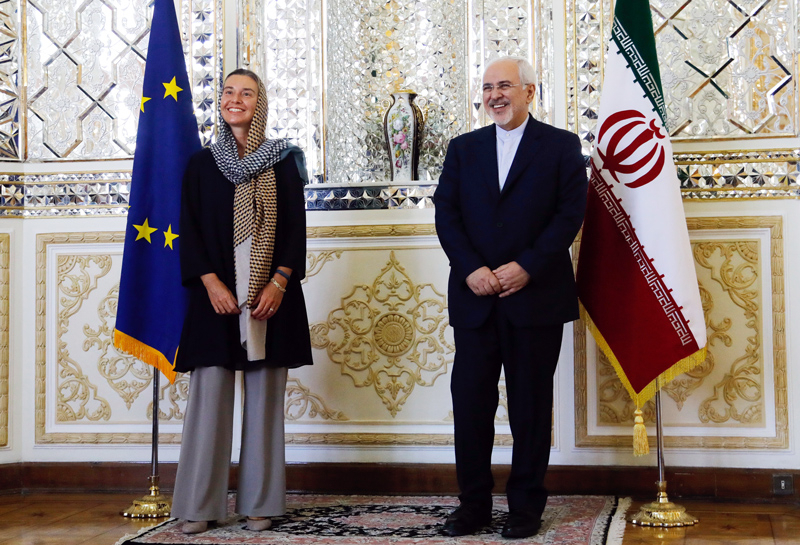 During the past year, the EU's foreign policy point-woman, Federica Mogherini has been collecting air-miles calling on world capitals to demand "commitment" to the deal, as if this were an article of faith in an as-yet undefined religion. The retiring British Ambassador to Washington, Sir Peter Westmacott, has been granting interviews to Iranian media, demanding kudos for having spent "much time and energy" trying to persuade the US to stick by the deal. Outgoing German Foreign Minister Sigmar Gabriel also boasts about having spent much energy in his final months in office "defending the deal" as a Crusading knight protecting a holy relic. And now is the turn of the French Ambassador to Washington, Gerard Araud, to launch a Twitter campaign to persuade the Trump administration to "honor" that most questionable item in Obama's legacy. Basically, the Europeans advance four arguments. The first, advanced by Westmacott, is that discarding the deal could damage the credibility of the "major powers", that is to say Britain, France, Germany and the US that signed it along with China and Russia. There are two troubles with that argument. The first is that it assumes that any diplomatic deal should be treated like a Catholic marriage that one abides "til death do us part". Such an assumption would mean the end of diplomacy as the art of responding to changing realities. If we were to go by Mogherini's or Westmacott's "commitment" to an unchangeable "deal", Britain and France should have never denounced the "peace accord" that Chamberlain signed in Munich in 1938. However, the EU argument about "respecting signatures" has another problem, because nobody signed anything. The so-called Joint Comprehensive Plan of Action (JCPOA) is no more than a press release stating a set of desirable moves by Iran and the P5+1 which, incidentally, didn't include the EU as such. Moreover, there are significant differences between the JCPOA's English and Persian versions, making various imaginative re-readings, à la Roland Barthes or Jacques Derrida, possible. Mogherini cannot claim respect for "signatures" which never happened and that, had they happened, would not have included the EU. The second argument is that the deal is working and, thus, the dictum "if it ain't broken why fix it" applies. That assumption is not borne out by facts. Iran and the P5+1 have either tried to circumvent or have brazenly broken their promises. Sir Peter, the retired UK diplomat, certainly knows that his government, in violation of the deal, still refuses to allow the Iranian Embassy to open a bank account in London. Nor has the UK government unfrozen more than $600 million in Iranian assets. The Germans and the French still refuse to issues export guarantees to firms seeking trade with Iran. Huge memorandums of understanding are signed but put on the back-burner, as Iran remains subject to sanctions by the United Nations, the EU and US. As for Russia, during an official visit to Iran last week, Chairman of the Russian Duma Vyacheslav Volodin heard an avalanche of complaints. Russian President Vladimir Putin has shown what he thinks of Iran, a supposed ally notably in Syria, by his recent treatment of Iranian President Hassan Rouhani in Ankara. At the end of a "summit" with Turkish President Recep Tayyip Erdogan, Rouhani demanded a on-on-one meeting with Putin. The Russian President consented to a brief standing encounter that lasted around 8 minutes. Tsar Vladimir had no time to sit down with the Iranian mullah for a cup of tea. As for China, it says Iran could use its frozen assets, piled up through oil exports to the People's Republic, only by buying Chinese goods. Beijing even refuses to let the 3,000 or so Iranian students in China to receive their stipends through banks, forcing the embassy to send people around to distribute cash among the budding scholars. Ironically, the only P5+1 member that has partially complied with the "deal" is the US, including by Mafia-style smuggling of $1.7 billion cash to Tehran. Iran, for its part, asserts that there has been no change in its nuclear project. Earlier this month, spokesman for Iran Atomic Energy Agency Behruz Kamalvand told a press conference in Tehran that the Iran's nuclear project was "going full speed ahead" with "new and more ambitious plans under preparation." More importantly, Iran has managed to block international inspection of key research and development centers by claiming they are military sites and thus off limits. Less than half of Iran's enriched uranium stocks have been shipped abroad, along with 10 percent of plutonium accumulated at the Arak plant. Last week, marking National Nuclear Day, Rouhani unveiled what he called "83 new nuclear projects" as slaps in the face of the American "Great Satan." Why should Mogherini or Araud beat their chests about a "deal" not honored by either side? The ambassador advances one last argument: If you scrap the "deal" how could you be sure Iran will not go "full speed ahead" with its nuclear ambitions? This is a casuistic argument: accept the bad for fear of getting the worse. Since the JCPOA was unveiled Iran's national currency has fallen by some 40 percent to an all-time low against foreign currencies, including the Iraqi dinar and the UAE dirham. 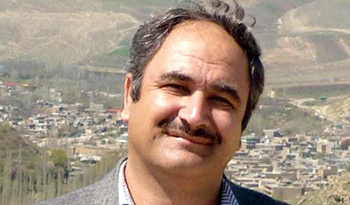 The Tehran government cannot regularly pay the salaries of its employees. Had it not been for the cash smuggled and funneled by Obama, the mullahs would have been unable to pay their military either. Right now, Tehran has difficulty bankrolling the Lebanese "Hezbollah" and paying the salaries of Bashar al-Assad's regime forces and civil service. So the Obama "deal", as Trump said during his campaign, is a bad deal. What Trump didn't say was that the "deal" was bad, both for Iran and the rest of the world. Araud would do well to re-read what Laurent Fabius, then France's Foreign Minister, said in 2015: "France will not accept a deal if it is not clear that inspections can be done at all Iranian installations ... We'll accept a deal, but not any deal." It was partly because of France's refusal to give the JCPOA legal status by signing that the Obama "deal" was launched as an informal initiative. Interestingly, Araud who now campaigns for the "deal" was appointed by Fabius, who took care to have a pinch of salt about it. Federica Mogherini is the biggest threat to Europe today. Islam's ultimate useful idiot.